Takisawa Taiwan offers a broad range of turning centers with advanced technological features to provide its customers solutions that will maximize productivity and still offer exceptional value. 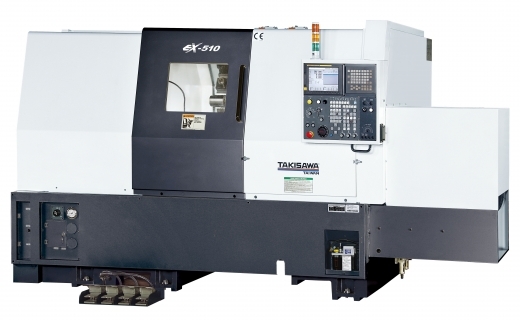 Takisawa Taiwan Stealth EX-108: A Toyoda Exclusive Horizontal Turning Center built for high speed production featuring linear guide ways, 20 HP spindle, an 8” chuck, and a special one piece thermally balanced bed designed with a 30° slant. 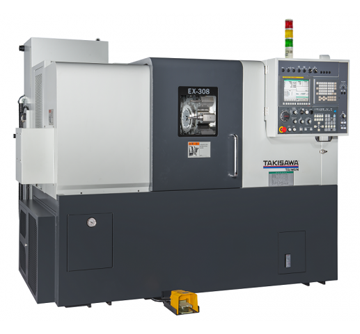 Takisawa Taiwan CNC machine tools includes a range of multi-tasking turning centers perfect for completing both milling and turning operations in a single set-up. With machines that offer options like two turrets, a sub-spindle, and/or Y-Axis turning you are guaranteed to find the right machine to exceptionally reduce your production time, increasing the productivity of your business. 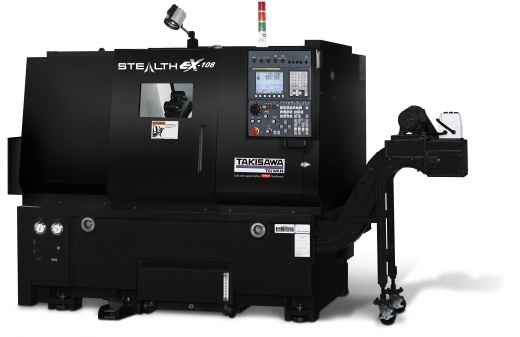 Specializing in complex machining, the EX is capable of multi-axis machining with twin spindles and linear guides. Heavy duty twin turrets and highly rigid twin spindles make the FX the perfect machine for short cycle times and high volumes. 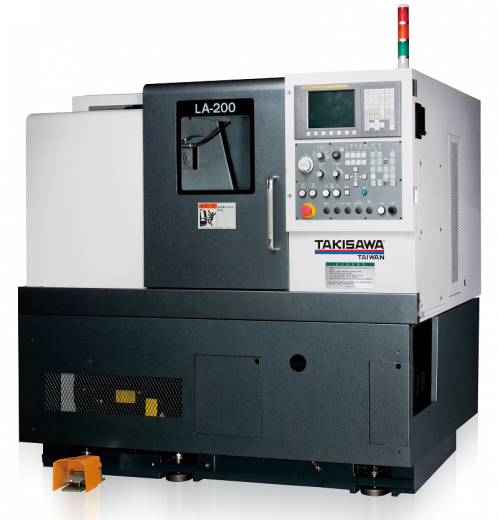 Takisawa Taiwan horizontal boxway turning centers offers a broad range of rigid and dependable machines for powerful applications. It is built with rigid boxway design for all machining axes. All LS series CNC lathes features a fine ground precision gearbox that allows high cutting torque and accurate surface finish with larger workpiece capacity. These machines offer additional options such as live tooling, C axis, and Y axis. These heavy duty machines offers superior strength and power ideal for massive components similar to the oil and gas industries. The horizontal turning centers with linear guideways offers faster feed rate and acceleration in its class for high-speed production. Offers a maximum spindle speed of 6,000 RPM and fast indexing capabilities to increase uptime and productivity. 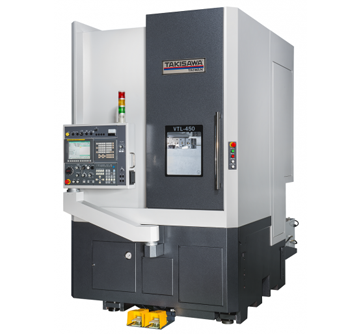 The EX series features built in direct drive spindle and live tooling capabilities. Takisawa Taiwan vertical turning centers are designed for mass production and reduce cutting times for automotive parts such as brake discs, brake drums, hubs and valves.